The Hydrogen Seals Training course is intended for General Electric field engineers and students enrolled in the Field Engineering Program. Hydrogen Seals Training begins with a basic explanation of hydrogen seals, and then goes on to a detailed description of maintenance practices and modification procedures. This course is divided into four sections. 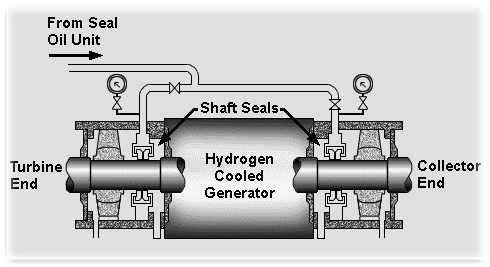 Theory of Operation describes the components and functional characteristics of the hydrogen seal oil system. Seal Design and Maintenance examines the construction of hydrogen seal assemblies, and describes the various inspection and maintenance procedures that are critical to the proper operation of hydrogen seals. Modifications and Conversions illustrates how to modify existing hydrogen seals to conform to newer design standards. Explain the inspection, repair, maintenance, and modification procedures for different hydrogen seal designs.